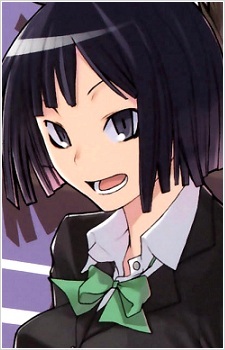 A sixteen-year-old high school student who is Kyousuke's little sister. She is also an employee of Hiizumi Life Counseling. Just like her brother, she is a youkai with superhuman strength. She has a crush on Akina, which Kyousuke is not pleased with it. In the anime, unlike her brother, she can not completely control her strength even with a seal. In the manga, she appears to have better control over her strength.